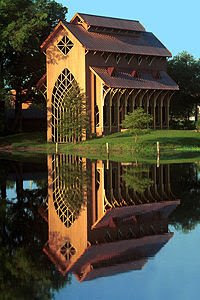 In 1853, the state-funded East Florida Seminary took over the Kingsbury Academy in Ocala. 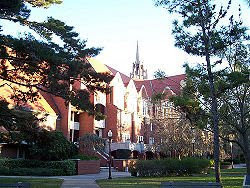 The seminary moved to Gainesville in the 1860s and later was consolidated with the state's land-grant Florida Agricultural College, then in Lake City. 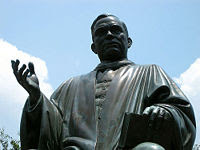 In 1905, by legislative action, the college became a university and was moved to Gainesville. Classes first met with 102 students on the present site on Sept. 26, 1906. 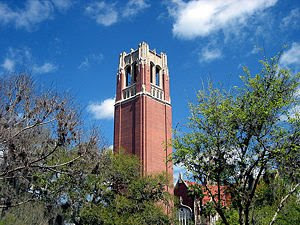 UF officially opened its doors to women in 1947. With more than 46,000 students, Florida is now one of the five largest universities in the nation. 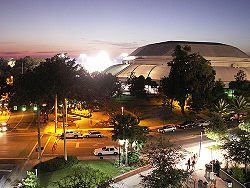 UF's extensive capital improvement program has resulted in facilities ideal for 21st century research including the McKnight Brain Institute, the new Health Professions, Nursing and Pharmacy Building, the Genetics and Cancer Research Center now being built, and the Proton-beam Therapy Center that will be located in Jacksonville. 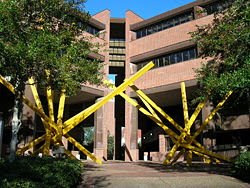 Overall, the university's current facilities have a book value of more than $1 billion and a replacement value of $2 billion. 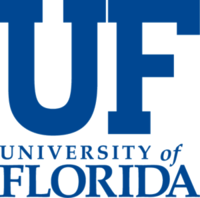 The University of Florida is divided into 16 colleges and more than 100 research, service and education centers, bureaus and institutes, offering over 100 undergraduate majors and 200 graduate degrees. On my honor, I have neither given nor received unauthorized aid in doing this assignment. In 1995 the University of Florida Student Body revamped the previous Honor Code and voluntarily committed itself to the highest standards of honesty and integrity. 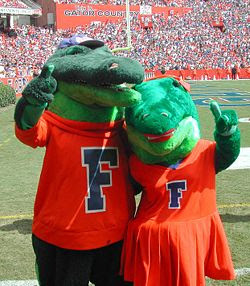 When students enroll at the University of Florida, they commit themselves to the standard drafted and enacted by students. Awards include a Fields Medal, two Pulitzer Prizes, NASA's top award for research, and Smithsonian Institution's conservation award. There are currently more than 60 Eminent Scholar chairs, and nearly 60 faculty elections to the National Academy of Sciences, Engineering, or Arts and Sciences, the Institute of Medicine or a counterpart in a foreign nation. UF ranked 17th in the U.S. News and World Report "Top Public Universities" (2007); fourth in The Scientist magazine's "Best Places to Work in Academia" (2005); fifth among all universities in Kiplinger's magazine "Top 100 Public Colleges" (2003).